Bespoke American specialist three-wheeler ‘auto-cycle’ maker Vanderhall Motor Works has wowed the crowds at the 2019 Brussels Auto Salon for its International Motor Show debut in Europe. With the doors to the 97th edition of the Brussels Salon now closed, Vanderhall was one of the undisputed stars of the 425,000+ visitor-strong annual exhibition. 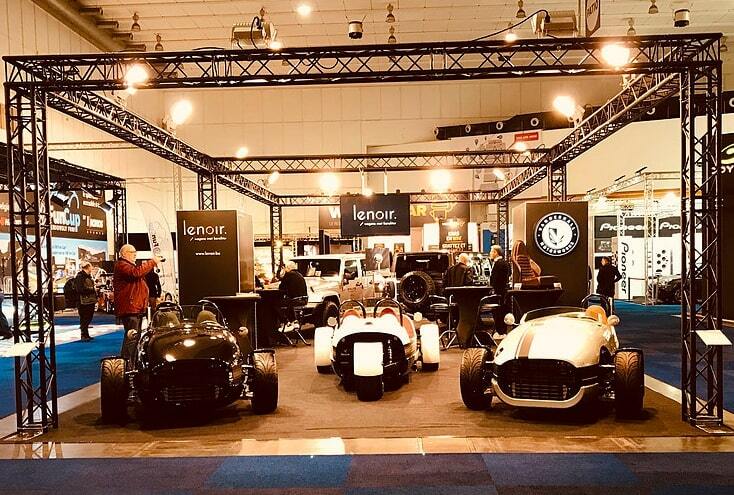 The US boutique sporting auto-cycle maker was represented at the Brussels Salon with an attention-grabbing three-vehicle display by Lenoir – Vanderhall of Hasselt – the Brand’s official Belgian distributor. A pair of exciting three-wheeler Vanderhall Venice models were exhibited in Brussels, alongside a new single-seater limited edition Venice Speedster, one of just 250 examples being produced. Lenoir reported huge interest in the vehicles – which are officially classified as auto-cycles, rather than being sports cars or motorcycles – with initial European Venice sales set to be confirmed once potential customers have experienced the ultimate driving thrills from behind the hand-made wooden steering wheel of a Vanderhall three-wheeler. Initial excited reactions to the Vanderhall auto-cycles in Brussels quickly poured in, with a lot of curious faces, surprised looks, plenty of selfies and many questions, all leading to one common conclusion; Wow! 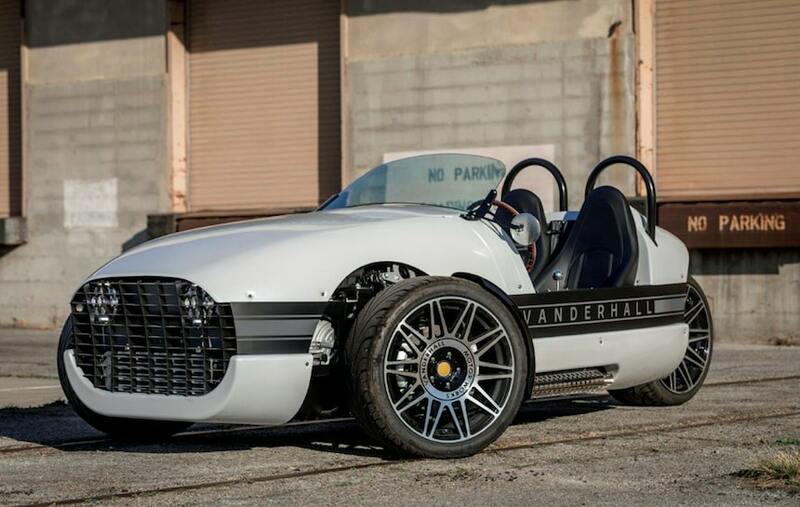 Two roadsters from Vanderhall Motor Works’ four model range were presented at the Salon; the two-seat Venice, plus the even-more focused single-seater Venice Speedster. Both three-wheeler models are powered through the front wheels by a proven 1.4-litre turbocharged four-cylinder engine, allied to an advanced patented chassis and composite lightweight bodyshell of just 624 kilograms (1,375 lbs). With a phenomenal power-to-weight ratio, the Vanderhall Venice delivers 185 bhp via a six-speed sequential gearbox, with 0-60 mph (97.6 km/h) acceleration appearing in under 4.5 seconds and powering on to a 140 mph (225 km/h) maximum speed. With all Vanderhall roadster models homologated for European markets, later in the year deliveries of the luxurious Carmel model, plus the all-electric Edison 2 variant, will commence via Vanderhall’s official European dealer network, now being set-up across the Continent, with demonstrators being readied to reconnected lucky Venice drivers with the road. Founded in 2010 in Provo, Utah, USA by driving enthusiast Steve Hall, Vanderhall Motor Works released its first auto-cycle vehicle – the three-wheeler Laguna – to great acclaim in 2015. The hand-crafted Laguna was soon followed by the Venice in late 2016, with other auto cycle models, including the electric Edison 2 and plush Carmel, now being launched. 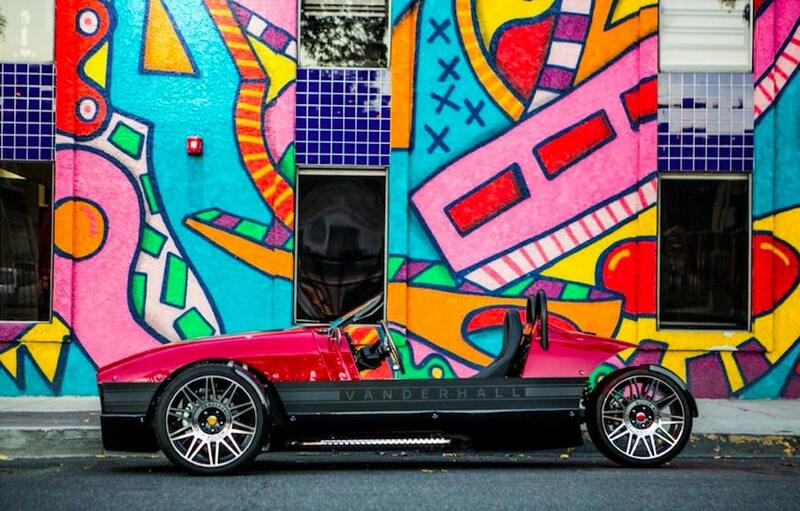 Within a short time frame, Vanderhall has established a cult following across the USA, with an impressive roll call of enthusiastic customers, backed by a nationwide American network of over 50 full-equipped and trained dealers.